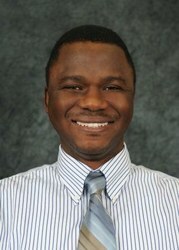 Dr. Moses Oyewumi is an Assistant Professor in the Department of Pharmaceutical Sciences at the Northeast Ohio Medical University College of Pharmacy. Dr. Oyewumi earned his Ph.D. from the University of Kentucky in 2003 and completed post-doctoral training at the University of Kentucky and at the University of Iowa in 2005. prior to joining NEOMED, Dr. Oyewumi was a Scientist, Pharmaceutics R&D for four years in a pharmaceutical industry. He is having many patents in his name. Design, development and application of novel nanoparticulate/microparticulate delivery systems. Assessment of novel drug delivery systems using in-vitro and in-vivo models. Targeted drug delivery systems in cancer, neuroprotection and neurodegeneration. Nasal drug delivery systems in CNS diseases. Oral delivery of macromolecules.